1000601 L50 VOLVO L50 Wheel Loader. Spare parts catalog. Service (workshop) Manual. 1000602 L50C VOLVO L50C Wheel Loader. Spare parts catalog. Service (workshop) Manual. 1000603 L50D VOLVO L50D Wheel Loader. Spare parts catalog. Service (workshop) Manual. 1000604 L50E VOLVO L50E Wheel Loader. Spare parts catalog. Service (workshop) Manual. 1000605 L60E VOLVO L60E Wheel Loader. Spare parts catalog. Service (workshop) Manual. 1000606 L60F VOLVO L60F Wheel Loader. Spare parts catalog. Service (workshop) Manual. 1000607 L70 VOLVO L70 Wheel Loader. Spare parts catalog. Service (workshop) Manual. 1000608 L70C VOLVO L70C Wheel Loader. Spare parts catalog. Service (workshop) Manual. 1000609 L70D VOLVO L70D Wheel Loader. Spare parts catalog. Service (workshop) Manual. 1000610 L70E VOLVO L70E Wheel Loader. Spare parts catalog. Service (workshop) Manual. 1000611 L70F VOLVO L70F Wheel Loader. Spare parts catalog. Service (workshop) Manual. 1000612 L90 VOLVO L90 Wheel Loader. Spare parts catalog. Service (workshop) Manual. 1000613 L90C VOLVO L90C Wheel Loader. Spare parts catalog. Service (workshop) Manual. 1000614 L90D VOLVO L90D Wheel Loader. Spare parts catalog. Service (workshop) Manual. 1000615 L90E VOLVO L90E Wheel Loader. Spare parts catalog. Service (workshop) Manual. 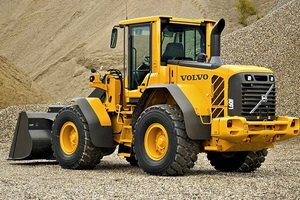 1000616 L90F VOLVO L90F Wheel Loader. Spare parts catalog. Service (workshop) Manual. 1000617 L110E VOLVO L110E Wheel Loader. Spare parts catalog. Service (workshop) Manual. 1000618 L110F VOLVO L110F Wheel Loader. Spare parts catalog. Service (workshop) Manual. 1000619 L120C VOLVO L120C Wheel Loader. Spare parts catalog. Service (workshop) Manual. 1000620 L120D VOLVO L120D Wheel Loader. Spare parts catalog. Service (workshop) Manual. 1000621 L120E VOLVO L120E Wheel Loader. Spare parts catalog. Service (workshop) Manual. 1000622 L120F VOLVO L120F Wheel Loader. Spare parts catalog. Service (workshop) Manual. 1000623 L150C VOLVO L150C Wheel Loader. Spare parts catalog. Service (workshop) Manual. 1000624 L150D VOLVO L150D Wheel Loader. Spare parts catalog. Service (workshop) Manual. 1000625 L150E VOLVO L150E Wheel Loader. Spare parts catalog. Service (workshop) Manual. 1000626 L150F VOLVO L150F Wheel Loader. Spare parts catalog. Service (workshop) Manual. 1000627 L180C VOLVO L180C Wheel Loader. Spare parts catalog. Service (workshop) Manual. 1000628 L180D VOLVO L180D Wheel Loader. Spare parts catalog. Service (workshop) Manual. 1000629 L180DHL VOLVO L180DHL Wheel Loader. Spare parts catalog. Service (workshop) Manual. 1000630 L180E VOLVO L180E Wheel Loader. Spare parts catalog. Service (workshop) Manual. 1000631 L180EHL VOLVO L180EHL Wheel Loader. Spare parts catalog. Service (workshop) Manual. 1000632 L180F VOLVO L180F Wheel Loader. Spare parts catalog. Service (workshop) Manual. 1000633 L180FHL VOLVO L180FHL Wheel Loader. Spare parts catalog. Service (workshop) Manual. 1000634 L220D VOLVO L220D Wheel Loader. Spare parts catalog. Service (workshop) Manual. 1000635 L220E VOLVO L220E Wheel Loader. Spare parts catalog. Service (workshop) Manual. 1000636 L220F VOLVO L220F Wheel Loader. Spare parts catalog. Service (workshop) Manual. 1000637 L32B VOLVO L32B Wheel Loader. Spare parts catalog. Service (workshop) Manual. 1000638 L330C VOLVO L330C Wheel Loader. Spare parts catalog. Service (workshop) Manual. 1000639 L330D VOLVO L330D Wheel Loader. Spare parts catalog. Service (workshop) Manual. 1000640 L330E VOLVO L330E Wheel Loader. Spare parts catalog. Service (workshop) Manual. 1000641 L350F VOLVO L350F Wheel Loader. Spare parts catalog. Service (workshop) Manual. 1000643 BM EL70 VOLVO BM EL70 Wheel Loader. Spare parts catalog. Service (workshop) Manual. 1000644 BM EL70C VOLVO BM EL70C Wheel Loader. Spare parts catalog. Service (workshop) Manual. 1000645 BM L50 VOLVO BM L50 Wheel Loader. Spare parts catalog. Service (workshop) Manual. 1000646 BM L50B VOLVO BM L50B Wheel Loader. Spare parts catalog. Service (workshop) Manual. 1000647 BM L50C VOLVO BM L50C Wheel Loader. Spare parts catalog. Service (workshop) Manual. 1000648 BM L70 VOLVO BM L70 Wheel Loader. Spare parts catalog. Service (workshop) Manual. 1000649 BM L70B VOLVO BM EL70B Wheel Loader. Spare parts catalog. Service (workshop) Manual. 1000650 BM L70C VOLVO BM L70C Wheel Loader. Spare parts catalog. Service (workshop) Manual. 1000651 BM L90 VOLVO BM L90 Wheel Loader. Spare parts catalog. Service (workshop) Manual. 1000652 BM L90B VOLVO BM L90B Wheel Loader. Spare parts catalog. Service (workshop) Manual. 1000653 BM L90C VOLVO BM L90C Wheel Loader. Spare parts catalog. Service (workshop) Manual. 1000654 BM L120 VOLVO BM L120 Wheel Loader. Spare parts catalog. Service (workshop) Manual. 1000655 BM L120B VOLVO BM L120B Wheel Loader. Spare parts catalog. Service (workshop) Manual. 1000656 BM L120C VOLVO BM L120C Wheel Loader. Spare parts catalog. Service (workshop) Manual. 1000657 BM L150 VOLVO BM L150 Wheel Loader. Spare parts catalog. Service (workshop) Manual. 1000658 BM L150C VOLVO BM L150C Wheel Loader. Spare parts catalog. Service (workshop) Manual. 1000659 BM L160 VOLVO BM L160 Wheel Loader. Spare parts catalog. Service (workshop) Manual. 1000660 BM L180 VOLVO BM L180 Wheel Loader. Spare parts catalog. Service (workshop) Manual. 1000661 BM L180C VOLVO BM L180C Wheel Loader. Spare parts catalog. Service (workshop) Manual. 1000662 BM L30 VOLVO BM L30 Wheel Loader. Spare parts catalog. Service (workshop) Manual. 1000663 BM L330C VOLVO BM L330C Wheel Loader. Spare parts catalog. Service (workshop) Manual. 1000664 BM 616B VOLVO BM 616B Wheel Loader. Spare parts catalog. Service (workshop) Manual. 1000665 BM 616B/646, D45/TD45 VOLVO BM 616B/646, D45/TD45 Wheel Loader. Spare parts catalog. Service (workshop) Manual. 1000666 BM 646 VOLVO BM 646 Wheel Loader. Spare parts catalog. Service (workshop) Manual. 1000667 BM 4200 VOLVO BM 4200 Wheel Loader. Spare parts catalog. Service (workshop) Manual. 1000668 BM 4200B VOLVO BM 4200B Wheel Loader. Spare parts catalog. Service (workshop) Manual. 1000669 BM 4300 VOLVO BM 4300 Wheel Loader. Spare parts catalog. Service (workshop) Manual. 1000670 BM 4300B VOLVO BM 4300B Wheel Loader. Spare parts catalog. Service (workshop) Manual. 1000671 BM 4400 VOLVO BM 4400 Wheel Loader. Spare parts catalog. Service (workshop) Manual. 1000672 BM 4500 VOLVO BM 4500 Wheel Loader. Spare parts catalog. Service (workshop) Manual. 1000673 BM 4600 VOLVO BM 4600 Wheel Loader. Spare parts catalog. Service (workshop) Manual. 1000674 BM 4600B VOLVO BM 4600B Wheel Loader. Spare parts catalog. Service (workshop) Manual. 1000675 BM 5350 VOLVO BM 5350 Wheel Loader. Spare parts catalog. Service (workshop) Manual. 1000676 BM 5350B VOLVO BM 5350B Wheel Loader. Spare parts catalog. Service (workshop) Manual. 1000677 BM 6300 VOLVO BM 6300 Wheel Loader. Spare parts catalog. Service (workshop) Manual.